If you're a fan of world-building games, you may want to add Staxel to your watch list. 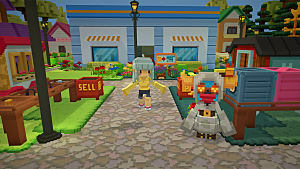 Created by indie dev Plukit and published by Humble Bundle, this cute little voxel game is currently in Early Access, and though it still feels rough around the edges, it has the promise to become a great addition to anyone who loves creating a little digital world of their own. Staxel is a sandbox farming/world-building indie game with a visually appealing style and unobtrusive and pleasing music. More importantly, it is loaded with plenty of content and a large, procedurally generated world to explore. 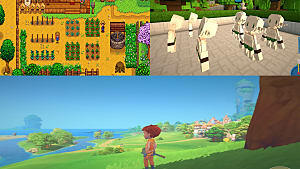 Comparisons to other dig-and-build games are inevitable, so let's get them out of the way right off the bat: At a glance, Staxel looks like a 3D version of Terraria; after some time playing, it becomes clear that the game plays more like a mix of Minecraft and Harvest Moon. Like Minecraft and Harvest Moon, there are elements of farming, building, raising animals, fishing, bug catching and so much more. Unlike other games like it, though, Staxel doesn't push you to do any of those things. There are no enemies, and the mechanics will feel familiar to anyone who's played any other farming sim or world builder, featuring first-person exploration and an inventory with hotkeys you can cycle through with the mouse wheel. The tutorial offers a very basic introduction, and further (optional) quests guide you through the mechanics of game aspects such as building and keeping (adorable!) farm animals. Besides this guidance, though, players are free to play the game however they want. As soon as you start the game, you can follow the quest line, or you can completely disregard it, buy yourself a net, and go bug hunting. You can destroy the entire village and rebuild it from scratch. You can go exploring in the vast and varied landscape beyond your farm. You can delve into the building and cooking, spending all your play time searching for ingredients or materials. You can use your farmland for growing crops, or you can grab a shovel and dig straight down, just because. There are no penalties for forgetting to feed your cat or forgetting to sleep, or even for ending the in-game day in the middle of nowhere. This all means that, at least at this moment, there is no wrong way to play Staxel. This is both the game's strength and its weakness. On one hand, the freedom to play however you want feels fantastic. 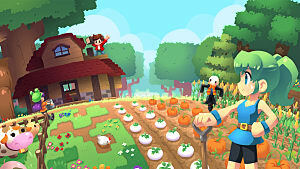 Other world-building games like Minecraft and Terraria generate a sense of urgency through combat, while the day-night and season cycles of farming-focused games like Stardew Valley and Harvest Moon mean you spend half of every in-game day watering and harvesting your crops (a stamina system further limits your ability to play indefinitely). In Staxel, however, there is no direction whatsoever, which means players can do whatever they want without having to work around a time limit and without being pushed to complete routine tasks. On the other hand, this lack of direction makes Staxel feel extremely overwhelming from the get-go. There is a huge amount of items available for sale at the various shops right from the start (the villagers also don't seem to mind if you gouge huge holes in their homes to steal materials and furniture). The ability to do anything you want also comes with a critical downside: the lack of incentive to do anything at all. Why should you make money when you can just hijack whatever you want instead of buying it? Why bother buying pet food if nothing happens to your pet when you forget to feed him? An item catalog makes things like achievements even more trivial: no need to go searching for bugs, just place an order for whatever bug you're missing and have it delivered to you. Ding! Achievement unlocked. Don't you feel accomplished? Of course, it bears repeating that Staxel is currently still in Early Access, which means it is still undergoing changes. 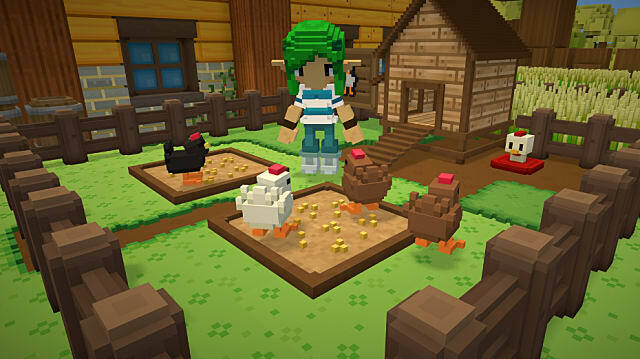 Plukit has created a stylish little game with tons of freedom, quirky villagers, and a pretty appealing combination of exploration, creation, and farming. 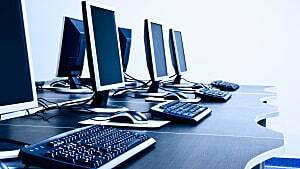 An online multiplayer right from the beginning is another thing the game has going for it, since creating things is always more fun with friends. Now it's up to the developers to find the right balance between freedom and direction. For now, Staxel is a gem in the rough with heart; hopefully it will emerge from Early Access in a more polished form.